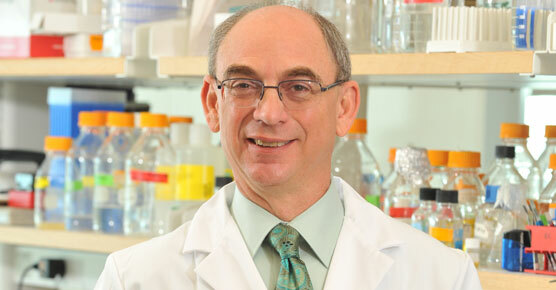 At the University of Chicago Medicine Comprehensive Cancer Center, we know a cancer diagnosis can be life changing. We put minds at ease by seeing new patients quickly — and helping them understand their disease and treatment options. With more than 200 cancer specialists, innovative treatments, leading-edge research and clinical trials not available elsewhere, we're attacking cancer from every angle. 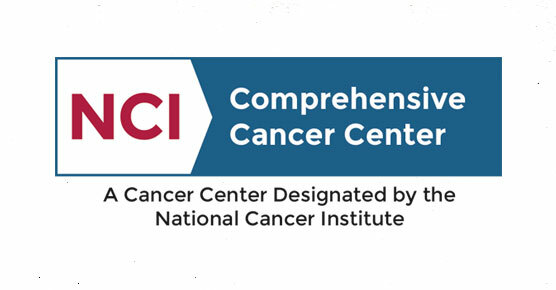 We're proud to be one of two NCI-designated comprehensive cancer centers in Illinois. 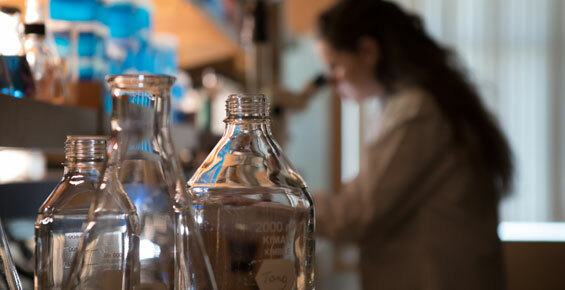 Our scientists study disease at the molecular level and clinical researchers apply the knowledge discovered in our laboratories to create and test promising new treatments and procedures. Our experts bring patients hope as they test new therapies. We also specialize in cancer control, prevention and population research while implementing new approaches to screening and prevention. We partner with our community by teaching state-of-the-art diagnostics to local physicians. And we work to encourage our neighbors to adopt a healthy lifestyle that includes cancer screenings. A key part of our mission is community research to eliminate health disparities among ethnic and social groups. It's the gold standard for cancer programs and is bestowed upon the nation’s top cancer centers in recognition of their innovative research and leading-edge treatments. Meet UChicago Medicine Comprehensive Cancer Center senior leadership. Read Comprehensive Cancer Center publications, including newsletters and annual reports. 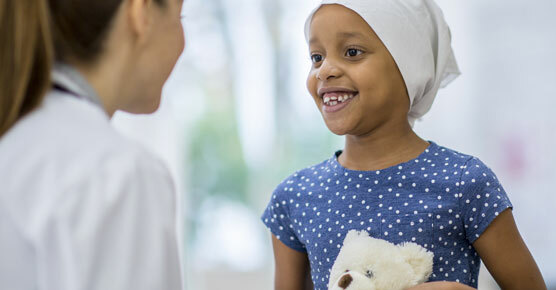 For over 70 years, the University of Chicago Cancer Research Foundation Women’s Board has been providing seed funding to support leading-edge cancer research at the UChicago Medicine Comprehensive Cancer Center. Had the MRI one day. Immediately got a call to come back in the next day. Those MRIs revealed a tumor the size of a walnut. No one is ready. You're never ready for it. But if it happens to you, you fight through it. She basically knew from the description it was stage-four neuroblastoma. There's certain days and events in life you remember where you were. When someone says the most important person in your life has cancer, you snap to. I was not feeling 100%. It was discovered that there was a mass in his liver, and it was stage-four esophageal cancer. My first thought was he was going to die. It's like I'm going in with my armor on, ready to hear about news because I'm used to it, and I expect it. And I went back to get my third infusion, and before that they decided to do full body scans just to see where I was that. They did those scans, and all of the results came back completely clear. There's just no question that even 5 to 10 years earlier, these treatments did not, for all intents and purposes, exist. The life expectancy for patients was about six months sometimes less actually. At that point, Scarlett had a 60% survival rate. Decades ago, her chances of survival would have been at 20%. Dr. Cohn was optimistic, and she said, I know the treatments that we have, and I know what we need to do. By analyzing the data, we were able to make what we think was the right decision for her in terms of treatment. And she is now tumor free. I think the simple truth is if she had been diagnosed a decade ago, the situation would be incredibly different. And that tumor is shrinking. So that's really amazing. I found out I was pregnant in November of last year. She was down in Florida at a conference. Her water broke. And I was 22 weeks pregnant. The doctors told me I was going to lose the baby. I called my husband, who was connected to chemo at the time. The biggest thing I could do was to continue my treatment so I could be strong and be there. Because of the success of my treatment, I've been able to continue my life and welcomed our baby daughter in the spring of '18, which really was almost a year to the day I got diagnosed. That makes me so happy to see. Hope is just never losing sight that I do have a chance of getting through this. The mothers that I work with, a lot of them are going through a lot worse things than I've ever been through. Watching them not only survive, but thrive in their lives, with all the things that they have to deal with, inspires me. I'm being well taken care of, and I feel very, very sure that I'm going to beat this cancer. We wouldn't be here. Scarlett wouldn't be here if it weren't for the research that the university does. I never gave up hope because Scarlett never gave up hope. I would tell researchers working on the cure for cancer to keep doing what you're doing because lately you've been making huge strides. And now I'm three months away from saying that I'm cured. Thank you to the researchers who made it possible for my husband to be here. Not only do I appreciate it, but my wife, baby, and entire family. And what can we do to help you? Let us help you continue your amazing work. You need three things to fight this cancer or any cancer. You need a strong and confident patient. And we got that. And you need friends and family who got your back. And we got that. And then you need a hospital and doctors who are really willing to sort of push the science and go for it. With the University of Chicago Hospitals, that third criteria is right there. Not everyone is in a position to spend their life doing a post-doctoral fellowship and studying cancer. But that doesn't mean that everyone can't contribute in a meaningful way. And that goes from small to big. I'm Dr. Jason Luke. We could never have made the progress that we've made without your help. I'm Dr. [INAUDIBLE]. And I use big data to find new treatment strategies. My name is Ami Desai And I use big data to ask questions we were unable to answer before. I'm Dr. sue Cohn, and I use big data to help develop better treatments for my patients with cancer. I'm Jyoti Patel, and I couldn't be a cancer researcher without your funding and generosity. My name is Addison Brush. And I can't do this without you. And I couldn't do it without you. And I couldn't have made it this far without your help. There's no way we could have gotten through this without your help. 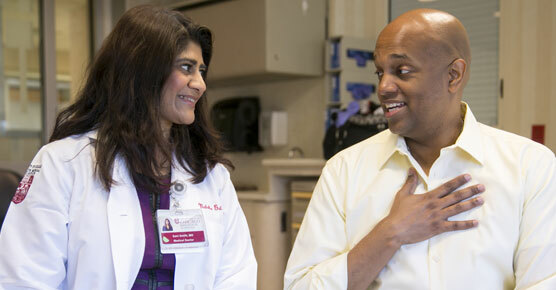 UChicago Medicine focuses on excellent outcomes and an improved quality of life for cancer patients. 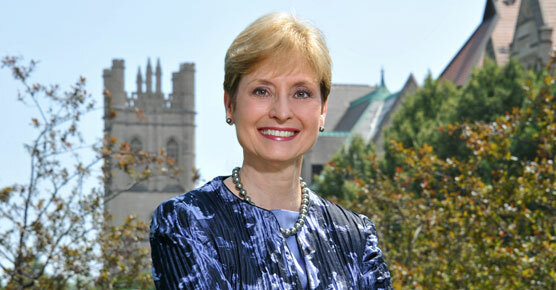 I think that cancer care is actually the greatest example of what the University of Chicago Medicine does best, in that we are able to offer to patients care that we have actually defined by our clinical trials, and being able to translate what happens in the laboratory here at the University of Chicago to our patients that not only improves their outcomes, but also is focused on improving their quality of life as well.